Is your WordPress slider not working as it should? If your image slider isn’t displaying right, it can make your website look unprofessional. In this guide, we will share why your WordPress slider may not be working, and how you can fix it. You may find that your image slider is loaded but the slides are not showing. Sometimes the images are not properly uploaded or your image slider code files may be causing a code conflict. If your slider plugin isn’t updated or doesn’t match to your WordPress version, it can also cause a problem with the images. Try simply updating your WordPress and all plugins to the latest versions. It may resolve this issue. If your images still aren’t appearing, it could be a caching issue. See this guide on how to clear your cache in WordPress to see if that solves the problem. 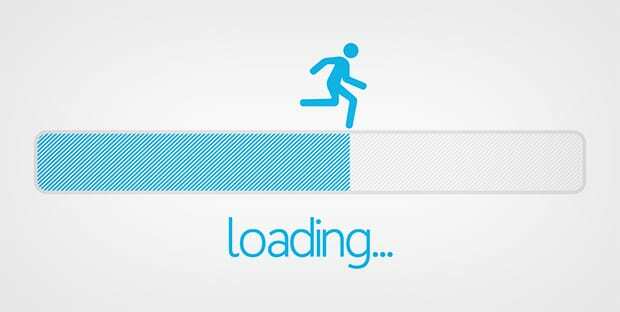 Slow speed site can create multiple issues for a website. Primarily, it provides a bad user experience and it affects your search engine rankings. However, your image slider can be one of the reasons slowing your site. You should use a simple yet fast image slider plugin for your WordPress site. We recommend you to check out the 10 reasons to choose Soliloquy as your WordPress slider plugin. Sliders created with Soliloquy are incredibly fast. You and your site visitors will notice a big difference in your site speed when using Soliloquy. As you can see in the above scores, Soliloquy was the fastest loading WordPress slider in our tests. Is your WordPress slider not displaying images? When your WordPress slider shows a progress bar and images are not appearing, it simply means that your slides are not loaded. This could be due to a conflict with another plugin. You can deactivate all your plugins and then reactivate them one by one to identify which plugin is creating trouble with your image slider plugin in WordPress. It is recommended that you should deactivate all those plugins that are not in use. You may have uploaded image slides with different widths and heights. Most of the image slider plugins don’t crop and adjust the images to display perfectly. Simply edit your images to match the dimensions for all slides. Or, you can use Soliloquy and let it center and scale your slider images automatically. By default, you can’t add an image slider on your WordPress site, so you must be using a plugin. If the slider images are not showing or the WordPress slider is not working, then your plugin needs to be reviewed. Most common issues with WordPress image slider plugins are files that are too large, not updated with the current WordPress versions, no support from plugin owner, and more. Having said that, we recommend you to use Soliloquy slider plugin. It is the best image slider plugin that creates beautiful responsive WordPress sliders in few minutes. Soliloquy follows industry standard coding standards. It is simple and fast, and there’s an amazing support team behind Soliloquy to help solve your image slider issues. Check out this comparison of the best WordPress sliders in performance and quality. It will also help you to learn that why Soliloquy is better than the other image sliders. Soliloquy is by far the best WordPress slider plugin on the market. It has many features that makes it robust. For the features and quality of support you get Soliloquy is also the most reasonably priced. Using the best image slider plugin on your site will help you get more visitors and it will improve your search engine rankings too. That’s all. We hope this guide has helped you to learn why your WordPress slider was not working and how you can fix it. You may also want to check out our guide on how to add slider delay in WordPress image sliders. If you like this guide, then please follow us on Facebook and Twitter and subscribe to our newsletter on the right side of this page for more free WordPress tips and resources. I need a text only slider – no images. I can do it with soliloquy but it looks terrible. Slider is out of html flow (or so it seems). I can add min height to caption bg to display at uniform height, but slider overlaps other content.